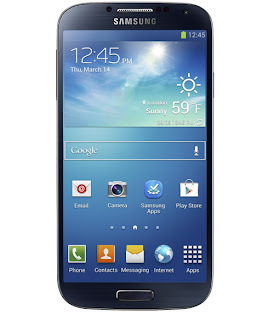 Samsung has finally official announced the launch of its highly anticipated Galaxy S4 flagship smartphone. After releasing the S3 last year, it quickly became apparent that this company had a winner device, and the Galaxy S3 reached the top spot in the Android marketplace. Now, Samsung was keen on repeating this process through a unique drama-style presentation in New York City. Let’s see what the result is, and how this handset compares with the previous generation. 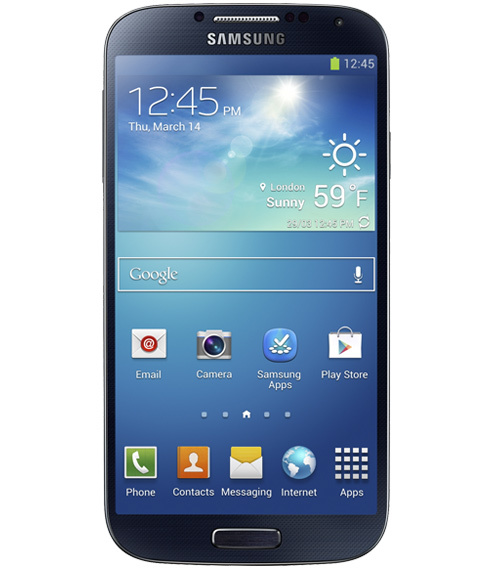 When you look at the Galaxy S4, you may as well be looking at the S3 or the Galaxy Note. In fact, it looks as if the company took those two previous releases and creates a mix in-between. It still has the same plastic cover with a very similar look and feel. The main difference is that the S4 is slightly thinner than the previous handset, and the bezel is smaller as well, which allows it to have a bigger screen with a form factor that is only slightly bigger. Otherwise, everything else is on par with other Samsung products, with a single home hardware button at the bottom, a back and menu buttons on the sides, and a small bump for the camera at the back. While the Galaxy S3 had a great display, the S4 also upped the bar for the Galaxy line with a 5″ screen, which is slightly bigger and sharper than the previous generation. It has an HD 1080p resolution, compared with a 720p in the S3. In terms of pixel density, that’s 441 pixels per inch, which is very high quality and will likely provide sharp and clear text. Like all smartphones these days, the S4 uses a dual camera setup with a primary sensor on the back and a secondary camera on the front. The back camera is now a 13 MP one while the front one is 2 MP. One big innovation is the fact that the camera software can now use both of them at once, either for recording or video conference. This is something new that smartphones typically don’t offer. When it comes to connection options then we have a pretty standard picture. The S4 has Wi-Fi, Bluetooth 4.0, 3G and LTE. It also supports NFC for short range payment options, and one new feature is the addition of an IR port so that the phone can be used as a TV remote control. The company also claims that the transfer speeds will be faster than before, up to 100 Mbps, depending on network support. Finally, a lot of the innovations can be found in the software. Samsung has several new apps that are bundled on the S4 including their Samsung Knox, a new enterprise facing service that provides extra security features so that the handset can better compete with BlackBerry in those critical government or business applications, along with Samsung Health, a set of apps and services that focus on health and fitness. The Galaxy S4 will be available this April around the world.